We all want to use only good ingredients for our skincare and especially for our facial skin as this is the most sensitive. 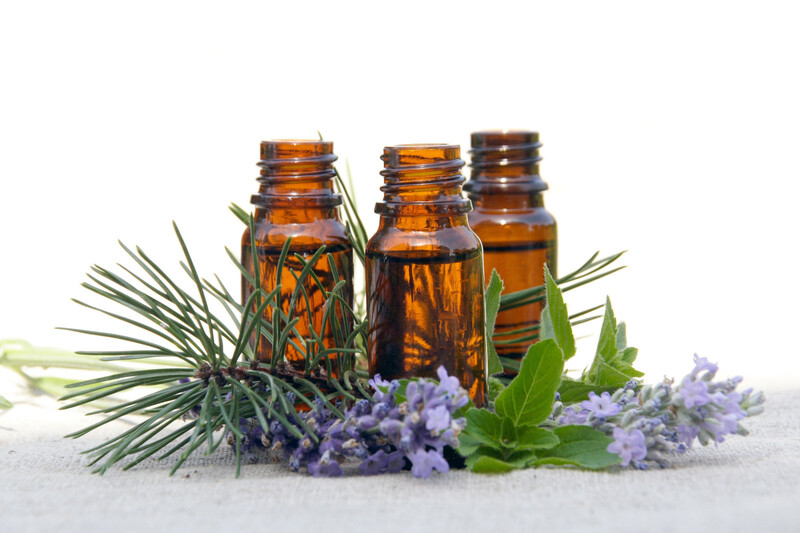 Essential Oils are not only the most natural but also have a lot of benefits. Essential Oils are extracted from the plant’s flowers, leaves, roots, fruit and sometimes even bark if it comes from a tree like Rosewood. These oils hold the essence of the plant they come from and so are very very concentrated and should never be put directly on the skin. Used as part of a lotion or cream or toner that can add wonderful benefits to your facial care. Clary Sage – Clary Sage is an earthy, herbaceous essential oil that is suitable for all skin types, but is most often used in formulas for oily or combination skin. Its antibacterial and anti-inflammatory properties help sooth reddened, inflamed skin due to breakouts, while it also balances oil production and tones the skin. Clary Sage is also wonderful for aging skin. It helps with cell regeneration, which can reduce the appearance of wrinkles. Geranium – Geranium is one of the best skin care essential oils, great for all skin types, but especially for oily and aging skin. Geranium has a delicate, rose-like scent that has a soothing effect. It has astringent and antiseptic properties and helps to balance oil production in the skin. It also helps to smooth wrinkles and calms broken capillaries. Lavender – Lavender is one of the most well- known essential oils, with a soothing, familiar scent. Though it is a strong antiseptic, it is gentle on the skin. Lavender was the first essential oil proven to help heal burns and it is noted to regenerate skin tissue. It balances oil, evens out skin tone and does an excellent job of hydrating dry skin. Tea Tree – Tea Tree is one of the strongest essential oils in terms of its antiseptic, antiviral and antifungal properties. This medicinal smelling essential oil is a must to keep around the house, not only for its ability to help clean and heal minor wounds and skin irritations, but also for the role it can play with facial care. Patchouli – Patchouli has been known as the “hippie” oil and is a love it or hate it oil. It has a very earthy scent. But it had antiseptic qualities making it helps breakout from developing infections. It helps in fading scars and in cell regeneration. And this wonderful oil is also astringent. Look for facial care products that contain these natural essential oils and see the difference they can make on your skin. Great information. I have never heard of patchouli before, thank you for sharing. Pure, high quality essential oils can be intensely nourishing and balancing for the skin. facial oils are very effective, I have been experienced it but many facial oils available on the market some very effective and some worthless, try to buy 5-star rating products by searching on google or forums. Nice article. I didn’t know essential oils had such great benefits for the skin! Everyone wants to have clear skin. You have given absolutely handy knowledge. Moreover, essential oils with high-quality materials are really very helpful for the skin.